The past three months saw six 125 cc scooters being launched in the country, five of which were introduced at the Auto Expo 2018. The 125 cc scooter segment is about to explode. We had been telling you about it as customers get more aware and informed of their choices in the scooter segment. While there were the Suzuki Access 125 and the Honda Activa 125, manufacturers were missing the potential here with an estimated 1 million sales expected from 125 cc scooters in the next year. However, that changed spectacularly at the Auto Expo 2018. The last three months saw six 125 cc scooters being launched, five of which made their debut at the expo. 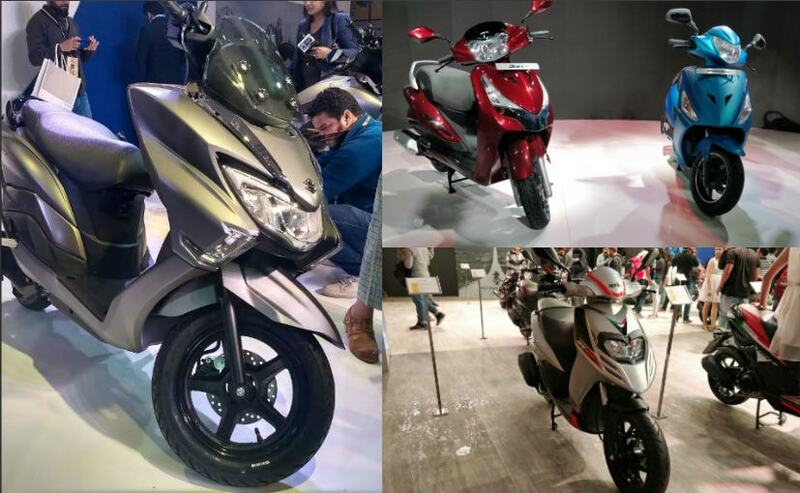 All set to hit the market in the next couple of months, here are the 125 cc scooters that made their debut at the Auto Expo 2018. We loved the Aprilia SR 150 as the powerful 150 cc scooter and making it more accessible, the Italian manufacturer has introduced the new Aprilia SR 125. The new 125 scooter shares the design and cycle parts with the SR 150, but with a smaller engine and a more affordable price tag. Power comes from the same 125 cc mill as the Vespa 125, tuned for around 10 bhp and 10.6 Nm of peak torque. The Aprilia SR 125 is one of the more sportier 125 cc scooters on sale and competes head on with the TVS NTorq 125 in this space. Priced at ₹ 65,310 (ex-showroom, Pune), the scooter is about ₹ 3000 lesser than the SR 150. 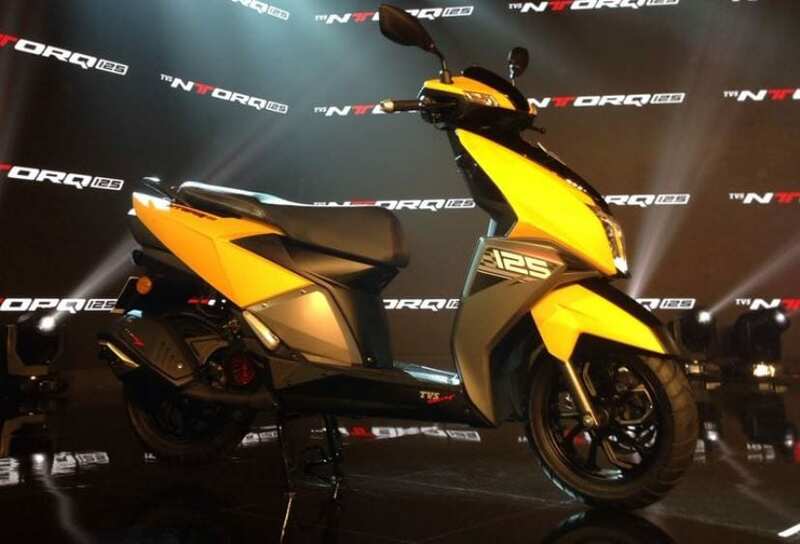 Although TVS Motor Company did unveil its new scooter a day before the expo, the TVS NTorq 125 did make its public debut at the biennial event. The new scooter is nothing like we've seen from the two-wheeler maker's stable. The scooter gets a host of segment firsts including the LCD screen with Bluetooth connectivity, navigation assist, smartphone connectivity and more. You also get a 0-60kmph recorder and a lap timer. The styling is sharp and sporty with slender frame, tall design and alloy wheels. There is also a DRL added to the package. Power comes from the new 125 cc single-cylinder, air-cooled motor tuned for 9.3 bhp and 10.5 Nm of peak torque with the scooter claiming a top speed of 95 kmph. The NTorq 125 is already on sale priced at ₹ 58,790 (ex-showroom, Delhi). While we were expecting an all-new 125 cc scooter from Hero MotoCorp, the two-wheeler giant had other plans. 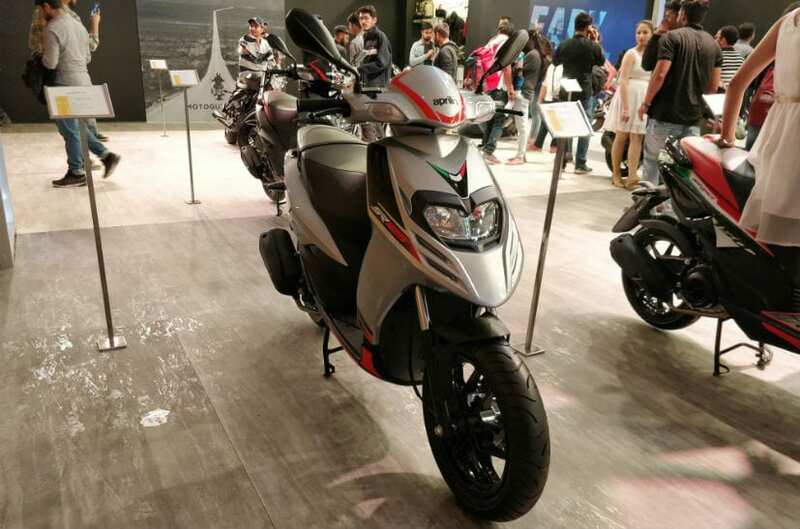 The company instead has introduced the 125 cc editions of the Duet and Mastero Edge scooters at the Auto Expo 2018. 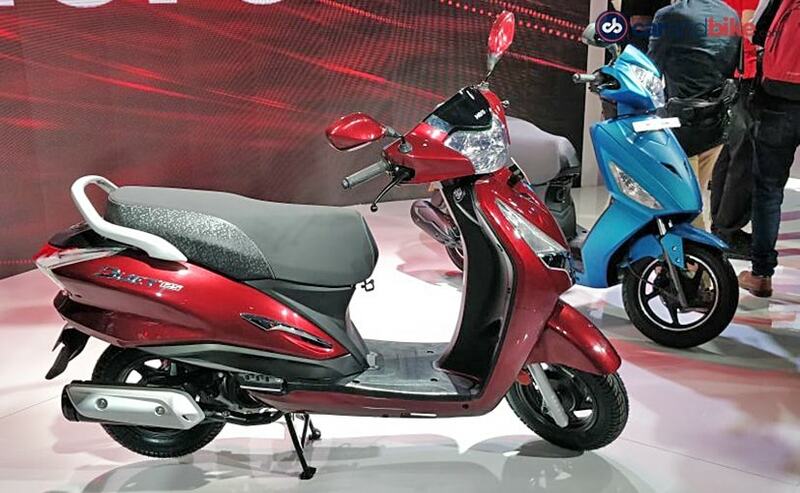 Starting with the new Hero Duet 125, the scooter shares its design with the 110 model, while the engine too is a bored out version of the 110 cc motor. The scooter comes with a semi-digital instrument console and also gets the manufacturer's i3S technology for higher fuel efficiency. Power comes from the new 125 cc motor tuned for 8.2 bhp and 10.2 Nm of peak torque. Hero hasn't announced the launch timeline yet but expect the scooter to arrive sometime later this year. Sharing the same underpinnings as the new Duet 125, the Hero Maestro Edge 125 is the sportier alternative from the manufacturer. The scooter uses the same engine and i3S technology while power figures too remain the same. 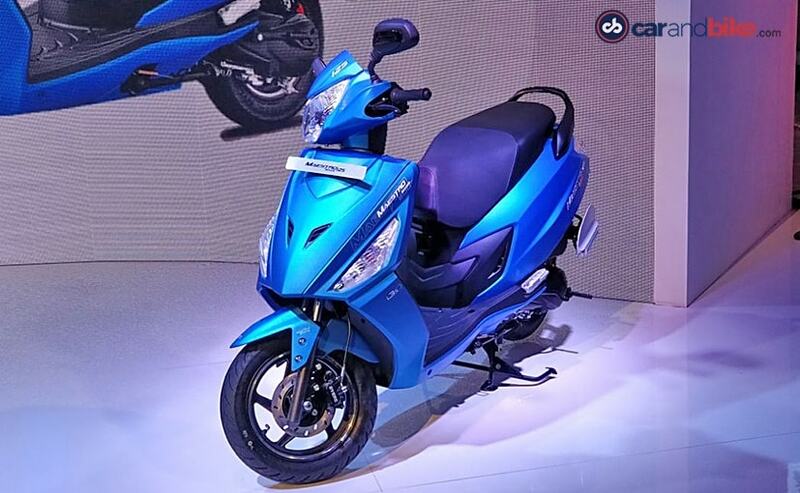 The Maestro Edge 125 though differentiates with a sharper design language, alloy wheels, and matte colour options. Expect the Hero Maestro Edge 125 to go on sale later this year alongside the Duet 125. Unveiled at the expo, the Suzuki Burgman Street 125 is the brand's newest offering and brings the legendary Burgmaet dia as well. The Burgman series is Suzuki's scooter range with a range of offerings right from 150 cc to 650 cc and has been designed as a maxi-scooter. The Burgman Street 125 retains the maxi-scooter styling with features like an LED headlamp, alloy wheels (12-inch front, 10-inch rear), step-up style seat and a digital instrument console borrowed from the Gixxer. Power comes from the same 125 cc single-cylinder, air-cooled motor borrowed from the Access 125 that churns out 8.6 bhp and 10.2 Nm of peak torque, paired to a CVT. The Suzuki Burgman Street 125 will go on sale later this year, and prices are expected in the vicinity of ₹ 65,000-70,000 (ex-showroom).